With the confirmation of the Hon. 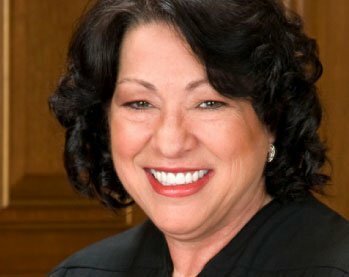 Sonia Sotomayor as Associate Justice of the United States Supreme Court, the HNBA fulfilled one of its founding missions: to work towards the nomination and confirmation of a Latinx judge to the highest court in the nation. Endorsed the nomination and confirmation processes, including testifying before the U.S. Senate Judiciary Committee, of dozens of Hispanic judges, attorney generals, assistant attorney generals, and U.S. attorneys at the local, state and federal levels. Supported the nomination and confirmation of Latinx executive appointments at the federal level, including the presidential cabinet and diplomatic appointments. Met with the President of the United States and other White House, Congressional, and Justice Department leaders, to address issues of concern to the HNBA and the Hispanic community in the U.S. Collaborated with Ibero-American officials and leaders to further common goals and issues to Hispanics around the world. 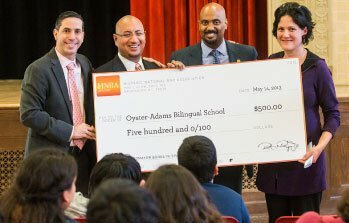 As part of our educational pipeline efforts, disbursed thousands of dollars in scholarships and stipends to Latinx students through the annual Uvaldo Herrera Moot Court Competition, the HNBA Legal Education Fund, Special Counsel Hispanic Scholarship Fund, National Hispanic Scholarship Program, HNBA Career Fair Travel Stipend, and HNBA Event Volunteer Initiative. Commissioned the research and publication of two ground-breaking studies on the national status of Latinas in the legal profession: “Few and Far Between: The Reality of Latina lawyers”, authored by Jill L. Cruz and Melinda S. Molina, and “La Voz de la Abogada Latina: Challenges and Rewards in Serving the Public Interest”, authored by Jill L. Cruz, Melinda S. Molina, and Jenny Rivera. Engaged in advocacy efforts and/or testified before U.S. House and Senate Committees to provide insight on issues surrounding immigration reform, pay equity for women, civil rights, prosecutorial discretion by Immigration and Customs Enforcement, voting rights, LGTB issues, the Dream Act, Defense of Marriage Act, Employment Non-Discrimination Act, Violence Against Women Act, Deferred Action for Childhood Arrivals, elimination of Don’t Ask, Don’t Tell, opposition to Arizona SB170, and others. Launched programs and initiatives to support the advancement and development of Latinx students and legal professionals, and the Hispanic community at large, in areas of education, professional development, economic opportunity, and community awareness; programs such as: the HNBA Latina Commission, La Promesa en el Derecho (The Promise in the Law), the HNBA Legal Career Fair, the HNBA Intellectual Property Law Institute (IPLI), HNBA Journal of Law and Policy, the HNBA Online Career Center and Law Student Career Opportunities Board, the HNBA/MassMutual Su Negocio Program, the HNBA/Prudential Su Dinero Program, HNBA Youth Symposium, HNBA Speed Networking and Corporate Connections Program, the Business Development Institute (BDI), Poder25, Corporate Board Training, Law School Sin Límites (LSSL), HNBA Immigrant Legal Defense Fund, and the HNBA Advocacy Day. Launched the annual HNBA Advocacy Day in Washington D.C., with the purpose of providing networking activities and advocacy opportunities before members of Congress and Executive Branch Officials, on issues of importance to the HNBA and to the Hispanic community. Launched the Collaborative Bar Leadership Academy (CBLA), a joint initiative of the Hispanic National Bar Association (HNBA), the National Bar Association (NBA), the National Asian Pacific American Bar Association (NAPABA), the National LGBT Bar Association, and the National Native American Bar Association (NNABA), in collaboration with the American Bar Association (ABA). CBLA is a multi-day, intensive leadership training program designed to train future bar association leaders, to promote diversity and inclusion, and to strengthen the legal profession by fostering deeper relationships and collaboration between the bar associations.